Located in Marathon and Big Pine Key In the Florida Keys! Since the 1950s, Captain Hook’s Marina & Dive Center has been the place to get everything you need for a day on the water. Charters for fishing, diving, snorkeling, dive instruction and certification; bait and tackle; scuba equipment and air tanks; boat rentals; snacks and beverages—we have all the supplies you’ll need to enjoy an area celebrated for world-class fishing, diving and all water sports. We are conveniently located oceanside on the Overseas Highway at the Vaca Cut bridge (MM53), which puts us just minutes from Marathon’s incredible reef and prime fishing waters. Let Some Insiders Hook You Up! Think of us as your concierge in the Keys—besides charters, we’ll help arrange your hotel rooms, transportation between hotel and marina, take you to the best fishing waters and show you how to catch different fish. Maybe you’re looking for the perfect picnic spot or recreation area for family fun; or you want to know where the food is good (and where it’s not!). Whatever your travel or vacation needs are while you’re in the Keys, Captain Hook’s can help. We Have Added Another Location! We couldn’t resist. The opportunity came up for another dive shop and we took it. It was called Strike Zone Charters in Big Pine Key. We now call it Capt. Hook’s Looe Key Reef Adventures & Strike Zone Charters. We are located at mile marker 29.5, bayside in Big Pine Key. If you are a diver or a snorkeler, we have added one of the most beautiful reefs in the Keys for you to dive. We have access to over 40 miles of barrier reef, 3 sanctuary locations and a vast number of diving and snorkeling locations. This purchase has given us access to some of the most beautiful reefs in all of the Florida Keys and North America. It has added a new dimension to our business because often when we can not get out due to weather conditions or visibility in Marathon, we can in Big Pine Key. Looe Key is large enough that it offers protection from all sides of the reef increasing the probability of making a run to the reef. We also work with our Marathon operation to make sure we get you out on the ocean, if there is anyway possible to do that. Having two locations and 4 dives boats gives up a lot of capability other dive shops just don’t have. 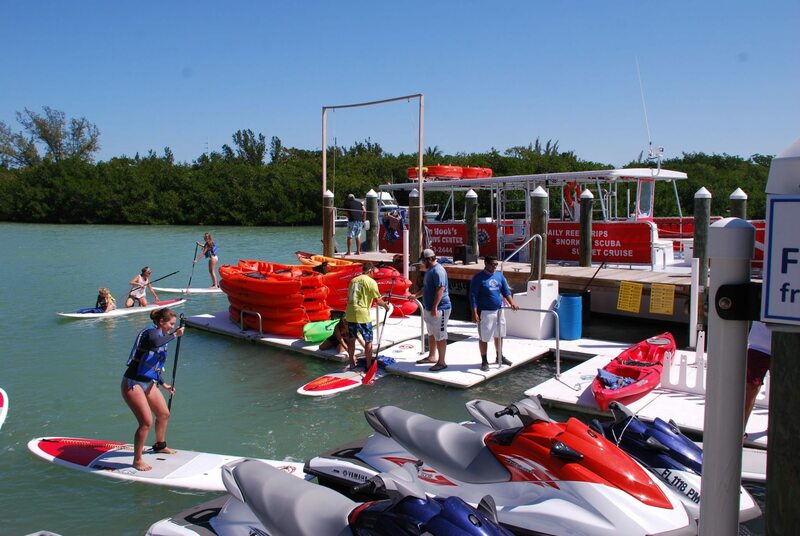 To learn more about our Big Pine Key location, visit bigpinekeywatersports.com or for a quick booking of the different activities now available at our Big Pine Key location, go to looekeywatersports.com. 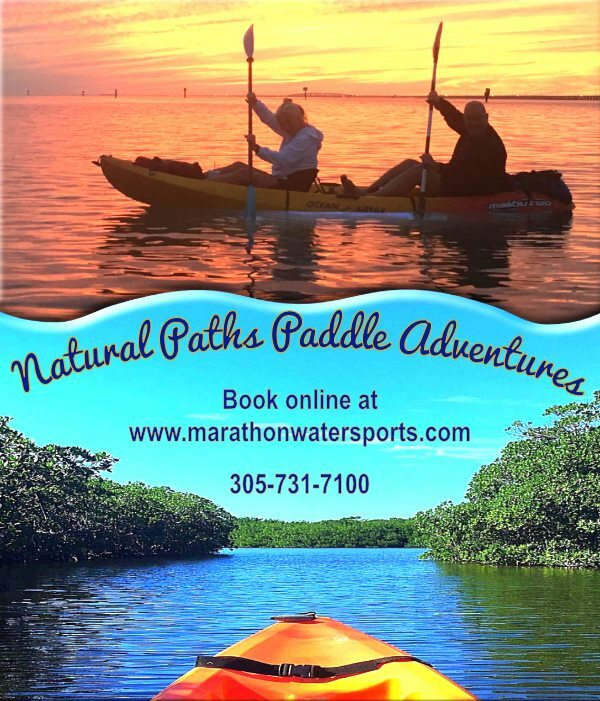 Along with Captain Hook’s, we have added some incredible partners to provide you with more watersports options and more locations to take advantage of the diverse waterways and trails within the Marathon Florida Keys area. 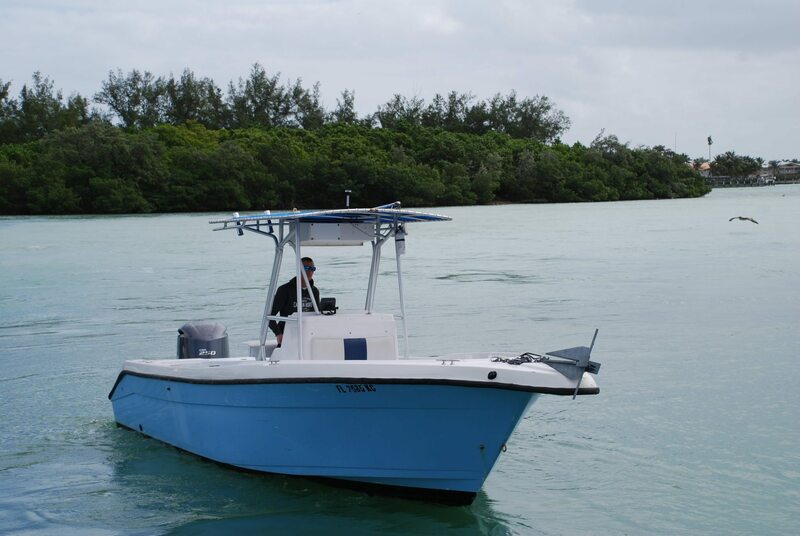 Quality Boat Rentals offers the best value in rental boats in the Marathon area. For each day you rent, your boat gets cheaper and more affordable by the day. As a partner of Captain Hook’s, we are committed to providing a quality boat to meet your needs and for you to have the your best rental boating experience. They insist on it and we deliver that. Natural Paths Paddle Adventures are paddle instructors and guides have developed some wonderful and exciting tours for beginners on through advanced paddlers. They understand the Florida Keys ecosystems and they have a relaxed and easy style to bring you the best paddling in the Middle Keys. They currently conduct tours out of Crane Point Museum and Nature Center. Natural Paths will be responsible for expanding the number of waterway trails for Captain Hook’s and the development of new tours for the expanding demand. If Crane Point is not on your sightseeing list for the Middle Keys, you will have missed something special. 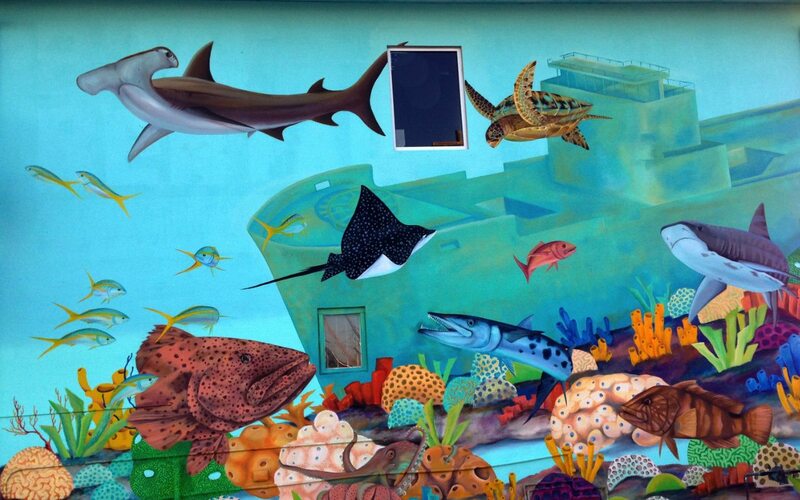 Their theme is to Rediscover the Natural Florida Keys but it is so much more than that. 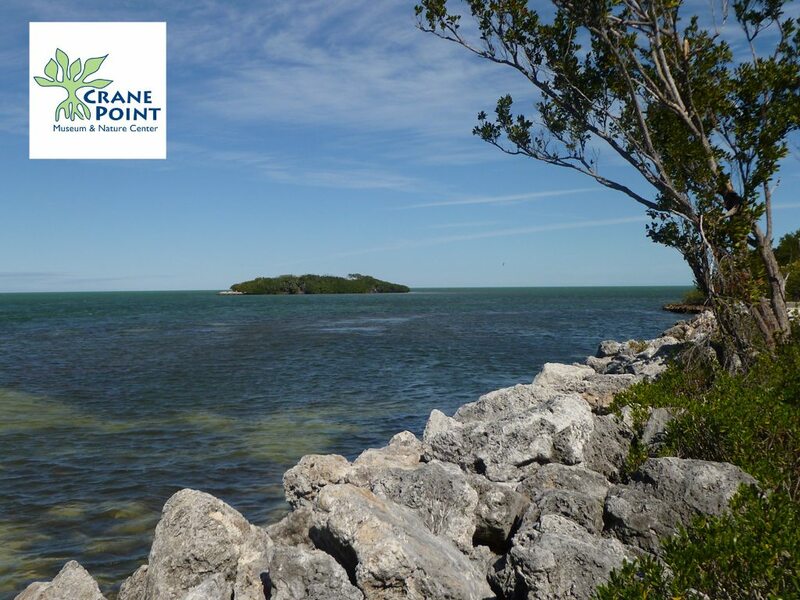 Crane Point is a fascinating mix of nature and history and it does it in way that you come away with a much better understanding of the underlining beauty of the Keys and the rich history of the early settling of the Keys. Now, Captain Hook’s is bringing a new twist with the addition of paddle boarding and kayaking tours that gives you a new perspective of the Florida Bay both looking out into the expanse of the bay itself but also a view of Crane Point from the water. You can book your activities at any of these locations or right here on-line. Don't Miss Out On The Fun! Start Your Booking Today!